See No Evil issues a challenge to New Zealanders. The book begins by relating the little-known history of West Papua, but its focus is on the impact of New Zealand's foreign policy on the indigenous Melanesian inhabitants. In the 1950s New Zealand supported self-determination for the former Dutch colony, but in 1962 opted to back Indonesia as it took over the territory. Delving deep into historical government archives, many of them obtained under the Official Information Act, this meticulously researched book uncovers the untold story of New Zealand's unprincipled and often hypocritical diplomacy. The consequences of repressive Indonesian rule have been tragic for the West Papuan people, who are experiencing `slow genocide'. West Papua remains largely closed to foreign journalists, but its story is now beginning to be heard. A growing number of Pacific Island nations are calling for change, but so far New Zealand has opted for caution and collusion to preserve a `business as usual' relationship with Indonesia. 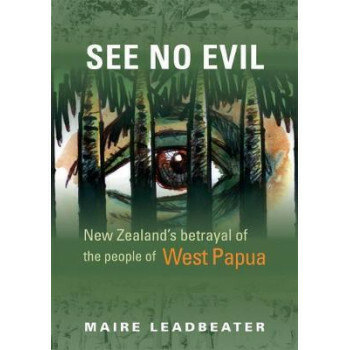 See No Evil is a shocking account by one of New Zealand's most respected authors on peace and Pacific issues, issuing a powerful call for a just and permanent solution - self-determination - for the people of West Papua.